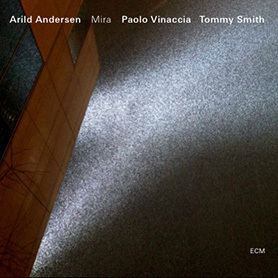 Posts Tagged "Arild Andersen Trio"
Home » Posts Tagged "Arild Andersen Trio"
Arild Andersen / Tommy Smith / Paolo Vinaccia. This is a live recording from Oslo November 2012 . The song «Blussy» was also recorded for our new trio CD for ECM.